Call Our Team of Boston, MA Toxic Mold Lawyer Experts Today at 617-787-3700 or Email Our Massachusetts Poisonous Black Mold Attorney Specialists at info@gilhoylaw.com if You or a Loved One Has Suffered Injuries From Exposure to Massachusetts Toxic Mold. 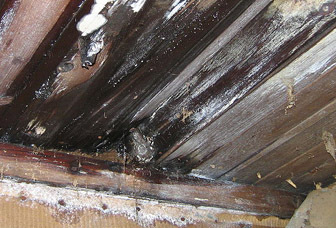 Mold is a common type of fungus found on old food and water-damaged Massachusetts buildings. While not all types of Massachusetts molds are dangerous, some are toxic and potentially fatal if exposure is excessive. Mold generally can be broken down into four categories based on its adverse health affects, which include allergies, infections, irritations and toxicities. Extensive exposure to mycotoxins, namely poisonous substances produced by fungus, can cause problems with the digestive, vascular, respiratory, nervous, urinary, cutaneous and reproductive systems. Research has shown that toxic Massachusetts mold found indoors is responsible for some allergies, infections, mucous membrane irritation and other illnesses. 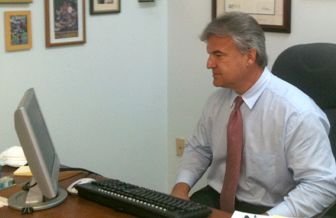 Our Boston, MA Toxic Mold Lawyer Specialists Are Available 24/7. 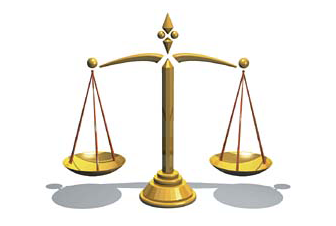 Our Massachusetts Poisonous Black Mold Attorney Experts Can Be Reached Now at 617-787-3700. The Boston, MA personal injury lawyers at the Law Offices of Gilbert R. Hoy, Jr. and Affiliates are here to help you seek redress for your injuries resulting from exposure to Massachusetts toxic mold. Our Boston poisonous mold lawyers can help you recover compensation for your mold removal expenses, medical bills and pain and suffering. Call the expert Massachusetts toxic mold attorneys today at our Boston personal injury law firm at 617-787-3700 or email us at info@gilhoylaw.com. When you choose our expert Massachusetts personal injury attorneys to represent you in your Massachusetts toxic mold claim, your needs will be our top priority. Who is at risk for Massachusetts mold related injuries? Massachusetts children are particularly sensitive to toxic Massachusetts mold due to their weaker immune systems. Massachusetts residents with underlying lung disease or immune suppression are also more susceptible to the adverse health effects caused by Massachusetts mold. 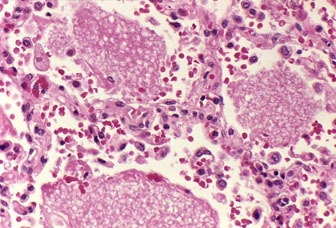 Additionally, Massachusetts residents with allergies may show a higher sensitivity to Massachusetts mold. Where does toxic mold grow in Massachusetts? 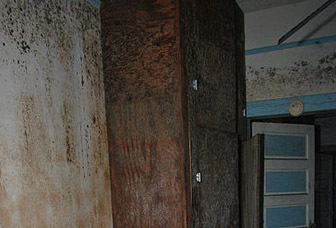 Toxic Massachusetts mold grows in damp, moist or wet Massachusetts environments. Leaky, cracked or broken pipes, in addition to windows, doors, roofs and walls, can let in rainfall and create a dangerous environment in which toxic Massachusetts mold can thrive. Massachusetts homes and Massachusetts offices that are poorly maintained or have problems with moisture or water damage are especially prone to toxic Massachusetts mold growth. Once mold spores have entered a Massachusetts home via pets or the clothes of Massachusetts residents, and are supplied with a source of moisture, Massachusetts mold can grow on insulation, carpet, cloth, food and wood. What strains of Massachusetts mold are hazardous? However, it is important to remember that even Massachusetts mold that is not toxic can cause allergic reactions and irritation to Massachusetts residents with a heightened sensitivity to mold. 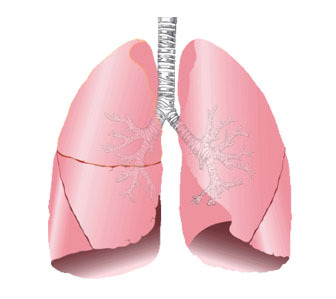 For example, many types of Massachusetts molds that are not necessarily toxic can cause increased asthmatic symptoms in Massachusetts citizens with asthma. 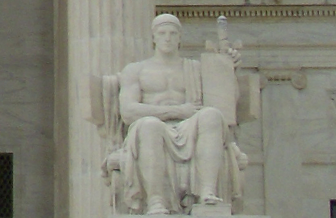 It is, therefore, important that all Massachusetts molds be removed, regardless of the type of mold that is present. How can I prevent exposure to Massachusetts toxic mold? 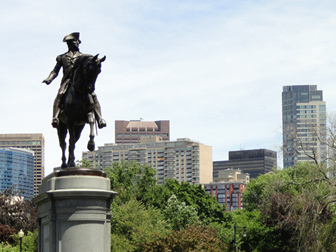 It is important to maintain Massachusetts buildings in dry and good repair. It is the responsibility of Massachusetts landlords, Massachusetts employers and Massachusetts maintenance companies to regularly conduct maintenance inspections that check for water leaks, plumbing problems, ineffective seals around doors and windows and other areas of the building that are damp and could lead to mold problems. Dehumidifiers can help prevent hazardous toxic Massachusetts molds from growing. When floods occur, damp areas should be cleaned and dried immediately, and absorbent materials, such as carpet, ceiling tiles and insulation, should be thrown away. How do I remove Massachusetts toxic mold? If you see or smell suspicious mold growing in your Massachusetts home, you should take action to remove it. Most Massachusetts molds can be cleaned off of hard surfaces using soap and water or a bleach solution made of no more than one cup of bleach and a gallon of water. Protective eyewear and nonporous gloves should always be worn while cleaning what may potentially be toxic Massachusetts mold. The area should be ventilated, and bleach solutions should never be mixed with other household cleaning solutions. It is also important to properly dry the area after cleaning; you can continue to experience irritation from dead mold, and Massachusetts mold can recur if an area is left damp. Because absorbent materials are especially difficult to clean and completely rid of mold, they should be thrown away if they become moldy. If your Massachusetts house has a significant amount of mold, you should consider hiring a Massachusetts professional company that has experience eliminating mold from Massachusetts buildings. 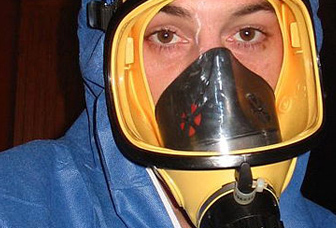 What are the symptoms of Massachusetts toxic mold exposure? If left untreated, or the exposure to toxic Massachusetts mold continues, Massachusetts mold injury victims may suffer a compromised immune system, along with other respiratory, reproductive, neurological, vascular, digestive and urinary problems. Any Massachusetts resident experiencing hemorrhaging, another consequence of mold exposure, should seek immediate medical attention. What should I do if I suspect exposure to Massachusetts toxic mold? If you suspect mold growth in your home, you should hire a certified Massachusetts mold specialist to inspect your Massachusetts property. This Massachusetts professional will test either an air sample or swab of the actual mold to determine the mold’s toxicity. Most importantly, if you or a loved one is experiencing any symptoms associated with Massachusetts toxic mold exposure, you should seek immediate professional medical treatment. Illnesses from exposure to toxic Massachusetts mold are treatable, but long-term health problems can develop if these symptoms are left untreated. 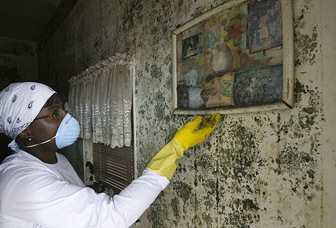 Make sure to save all documents related to your medical expenses, and take pictures of the mold. 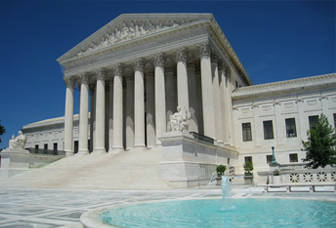 These will serve as evidence in proving exposure in the later stages of your Massachusetts case. Our Boston, MA Toxic Mold Lawyer Specialists Are Available 24/7. Call Our Massachusetts Poisonous Black Mold Attorney Experts Today at 617-787-3700. Your Needs Are Our Top Priority! If you or a loved one is suffering from exposure to toxic Massachusetts mold in your home, Massachusetts work site or Massachusetts school, contact our expert team of Boston, MA poisonous mold lawyers today for a free consultation at 617-787-3700 or email our Massachusetts poisonous mold attorneys at info@gilhoylaw.com. 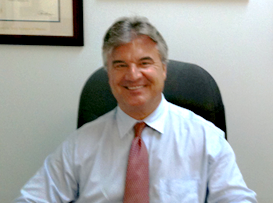 Our Boston, MA personal injury lawyers and Boston wrongful death lawyers have obtained millions of dollars for our Massachusetts personal injury clients. We are here to help you. Toxic Massachusetts mold claims and lawsuits are generally highly complex and require extensive gathering of evidence and medical records in order to obtain fair and just monetary compensation. If you or a loved one has sustained injuries as the result of exposure to toxic Massachusetts mold, you may be entitled to a substantial compensation award. 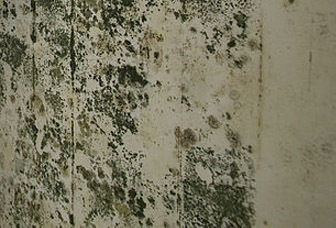 The toxic mold attorneys at our Boston, MA law firm are experts in their field. Many of the toxic mold attorneys that are available to our clients through referral agreements have been recognized in the Best Lawyers in America. The Boston Globe and Boston Magazine have acknowledged a number of our attorneys as Boston’s Best Attorneys, Massachusetts Super Lawyers and New England Super Lawyers. We have been working with our Massachusetts toxic mold clients to obtain high settlement amounts for over the past 25 years. There are various damage awards that a Massachusetts toxic mold victim can obtain in the event that he or she suffered injuries as a result of exposure to Massachusetts toxic mold. Our toxic mold attorney specialists will carefully evaluate your claim and seek to recover reimbursement for lost wages and medical expenses. Money damages for emotional injures can be recovered as well, typically in the form of loss of consortium and pain and suffering damages. Our expert Boston personal injury law firm has a long track record of success and accomplishment in obtaining the highest settlement amounts available for our Massachusetts toxic mold victim clients. To ensure that you or your loved one’s toxic mold injuries are properly assessed, so that the full extent of damages may be recovered, we consult with a wide range of medical professionals and experts. There is a statute of limitations that limits the amount of time that someone who has been injured by Massachusetts toxic mold may have to make a claim. In order for a Massachusetts toxic mold injury victim to recover damages for a Massachusetts toxic mold claim, there are a number of steps that must be taken. There must be extensive gathering of evidence, medical record requests and insurance company bargaining, among numerous other tasks. The Massachusetts toxic mold attorney specialists at our Boston, MA law firm have gained a national reputation in recovering damages and settling Massachusetts toxic mold claims. If you or a loved one has been injured as the result of exposure to Massachusetts toxic mold, please do not hesitate to contact our expert and highly skilled Massachusetts toxic mold attorney specialists at 617-787-3700 or email us at info@gilhoylaw.com. Your needs are our top priority! Our Massachusetts toxic mold personal injury lawyers are proud to represent Massachusetts toxic mold personal injury clients from throughout the Commonwealth. The Boston, MA Law Offices of Gilbert R. Hoy, Jr. and Affiliates is a group of Boston, MA attorneys from some of the best law offices in Massachusetts, including expert Massachusetts toxic mold personal injury lawyers, who have been personally selected by Attorney Hoy because of their skill, experience and expertise. Many of the Boston, MA toxic mold lawyers who are available to our Massachusetts clients through referral agreements have been repeatedly selected and recognized as among the very best lawyers in Massachusetts and, indeed, the country. If you or your loved one has suffered personal injury damages or wrongful death damages as the result of Massachusetts toxic mold, the best thing that you can do is to hire one of our highly skilled Boston, MA toxic mold lawyer experts. If you select one of the knowledgeable and expert Massachusetts toxic mold accident attorneys at the Boston Law Offices of Gilbert R. Hoy, Jr. and Affiliates to represent you or your loved one, we will do our very best to satisfy all of your legal needs. The Massachusetts toxic mold injury lawyers at our Boston, MA law firm will use all of their extensive legal expertise and knowledge to most effectively handle your unique situation and maximize your recovery of personal injury damages. Our Boston, MA toxic mold injury law firm is distinguishable from other Massachusetts law firms because our Boston, MA attorneys are genuinely compassionate and caring and will fight vigorously on your behalf. 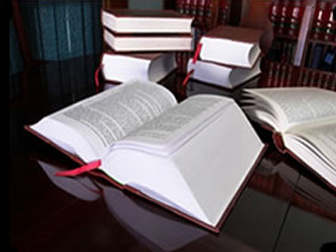 Our Boston, MA toxic mold accident law office has some of the most skilled Massachusetts lawyers in the Commonwealth. The Boston toxic mold accident lawyers and Boston, MA wrongful death lawyer professionals at our Boston, Massachusetts law office have represented numerous Massachusetts toxic mold accident victims and many families of Massachusetts wrongful death victims. If your loved one has suffered personal injury damages as the result of Massachusetts toxic mold, please contact our highly experienced and nationally known Boston, MA toxic mold lawyer experts and Massachusetts poisonous black mold attorney specialists as soon as possible at 617-787-3700 to help you get full and fair compensation for your Massachusetts personal injuries and wrongful death damages. With an experienced group of some of the very best Massachusetts toxic mold lawyers that the Commonwealth offers, our Boston toxic mold law office is confident that our handling of your toxic mold claim will go beyond your expectations. Our over-riding goal is to provide you or your loved one with top of the line legal service and assistance with respect to your Massachusetts toxic mold injury, while earning your confidence, loyalty, trust and respect. Our Boston, MA toxic mold law office would be honored and pleased to represent you or your loved one, and we would be delighted to provide you with an initial free and confidential consultation with respect to your Massachusetts toxic mold claim. When You Or a Loved One Has Suffered Injuries From Massachusetts Toxic Mold Exposure, Call Our Team of Boston, MA Toxic Mold Lawyer Experts Today at 617-787-3700. Our Massachusetts Poisonous Black Mold Attorney Specialists Are Just a Phone Call Away!